Sign up for Broadjam today to follow Anthony W. Dillon /Urbanhood, and be notified when they upload new stuff or update their news! The smooth sounds of the Westcoast of Cental Florida come alive with the sounds of Urbanhood. You are automatically captured by the melody of the sultry sounds of \"Summer Heat (Parts I and II)as the melody enters your heart and soul the negatives of the world seem to just drift away. Put your headset on and set yourself aside some private time you won\'t regret it. 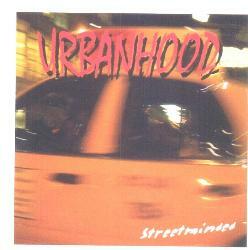 Along with \"Summer Heat\", the instrumental \"You Ride\" takes you on a trip through the urbanhood. The place where the real things happen. If you really listen, you will be able to feel the heartbeat of the city moving you in every direction. So feel the heat and enjoy the ride.